Create perfectly shaped lips with lip injections at Mount Road Dental in Chessington, near Kingston. Lip fillers are one of the most popular beauty enhancements in the world today. Both celebrities and ordinary folk alike are all opting for lip injections to create plump, kissable lips instantly. Lip fillers are used to enhance your lips’ own shape and plumpness, resulting in a realistic, natural-looking final look. Using a lip enhancer, your lips will not only become fuller but they’ll also appear much healthier and hydrated overall. How do Botox and fillers compare? For instantly volumized, softer, and younger looking lips, Mount Road Dental is the ideal place for lip injections in Surrey. Call today to book your consultation with our expert facial aesthetics and lip fillers team. Lip fillers are a type of dermal filler designed especially for use on lips. The highly sophisticated lip enhancer gel is made from Hyaluronic Acid – a substance found naturally in the human body. This key ingredient is used in a wide range of skincare products as well as in dermal fillers. It is incredibly safe and delivers moisture to your lips, keeping them hydrated and radiant at all times. The lip injections are applied beneath the skin where the gel slowly volumizes the lips; plumping them out to remove any lines or unevenness to create perfectly smooth, attractive, plump lips. And, since hyaluronic acid is completely natural to our bodies, the lip fillers will safely break down on their own over time. The results of your lip enhancer treatment will fade gradually meaning no one will be able to tell until you’re ready to top up your lip filler. Re-treatment may be necessary every twelve months or so to keep your lips at their ultimate level of plumpness. Why do people get lip injections? Lip fillers can be used to treat issues you may be having with your lips such as an uneven shape, imbalanced upper and lower lips, cracked, dry lips and lips that are too thin. Our lips naturally become thinner as we age. This is a completely normal process because our bodies stop producing as much collagen over time. Collagen is an essential protein which gives your skin its elasticity and plumpness. So, when collagen levels start to decrease, the signs of ageing begin to appear. Lip fillers are used to combat these signs of ageing, returning the fullness, softness and definition of youth to your lips. Many younger patients also come to us for lip injections to make their lips more beautiful. Full lips are now considered one of the most attractive features a person can have because of the influences of celebrity and popular culture. 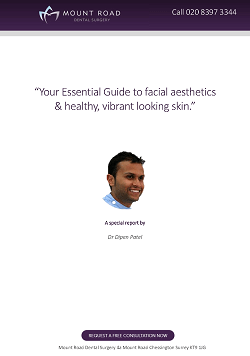 Our practitioners here at our Chessington surgery near Kingston are able to help create the perfect look for you. As we mentioned, lip fillers are one of the most popular beauty enhancement treatments today, making them one of the most in-demand procedures we dispense at our practice here in Chessington. Because the chemicals used in your lip fillers are the same as which naturally occur in the body, lip injections are extremely safe and involve a very simple procedure. Lip fillers should, however, only ever be injected by a highly qualified and skilled practitioner. To administer lip fillers, the practitioner must have a good understanding of safe lip enhancer treatment. And, should you for any reason change your mind about your lip fillers, a professional practitioner can easily dissolve the gel instantly with another injection whereas someone who is not fully trained would not be able to. There are very few side effects associated with lip enhancer treatment although you may notice some slight bruising and redness around the site of injection for a few days following the procedure. This will fade after a day or two. The treatment is painless, and you’ll continue to see the incredible plumping impact of your lip fillers for up to two weeks – with results lasting as many as twelve months before requiring a top-up. If you’re looking for softer, smoother and more voluminous lips, lip injections from Mount Road Dental could be the perfect solution for you. Our facial aesthetics team are highly experienced in administering lip fillers that deliver naturally beautiful results. For the safest treatment and the best possible new look from your lip injections, please call us today on 020 8397 3344 to book your lip enhancer consultation with the team or come in and see us at our Chessington practice to make your appointment. Mount Road Dental Surgery is based in Chessington near Kingston. We cover a wide number of areas in London and across Surrey. Click here for our lip filler fees. We currently have a special offer on Botox. For more information on Dermal Fillers or to book a consultation call us on 020 8397 3344.